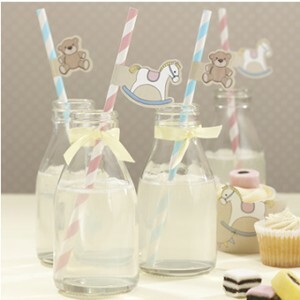 25 striped straws with cute teddy and rocking horse flags to brighten up your table and delight the children! Perfect to complement the Rock-a-bye Baby range. Perfect to complement the Rock-a-bye Baby range. Each straw is 19 cm tall.